Phyllis believes it is so important to educate our children on Early American History, for it is what shaped our country. One of the most beautiful places on earth is also one of the most treacherous and unforgiving. On the westernmost part of Canada are the territories of Yukon, Northwest Territories and Nunavut. 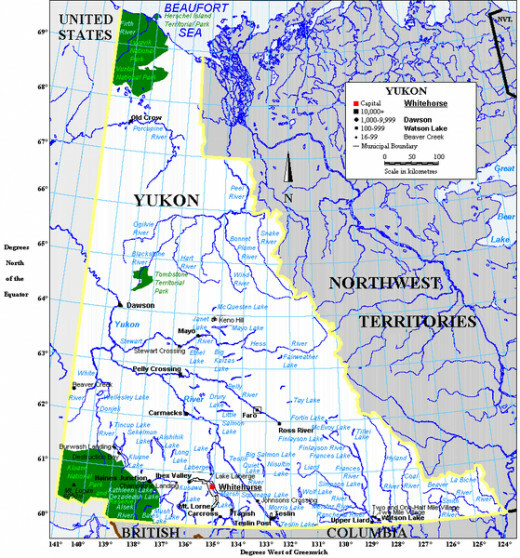 The Yukon is the smallest territory, named after the Yukon River. This sparsely populated territory is full of lakes created by the melted snows from the perennial snow on the mountains. The climate is arctic and subarctic, with very dry and long cold winters. The summers are short, but have long hours of sunshine, being so close to the North Pole. The Yukon Territory was not a very welcoming land for those who wanted to seek their fortune. It was a vast wilderness full of constant danger and unknown hazards for any who were not familiar with the stark land and freezing temperatures. In 1898, the Yukon became its own territory when it was separated from the Northwest Territories. In March of 2002, the Yukon Act dropped 'Territory' from the name to make Yukon the official term. 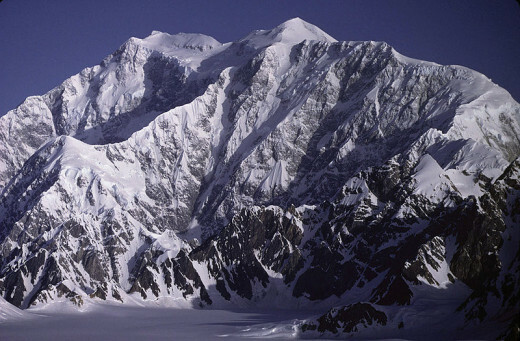 Mount Logan is the highest mountain in Canada, at 19,551 feet, and the second highest in North America. It is in the Kluane National Park and Reserve in southwestern Yukon. The mountain is still growing due to tectonic uplifting. 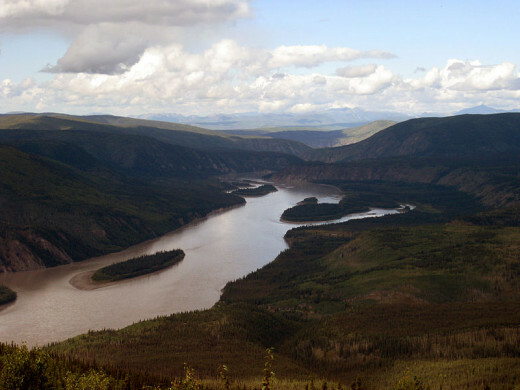 The Yukon was named after the Yukon River. 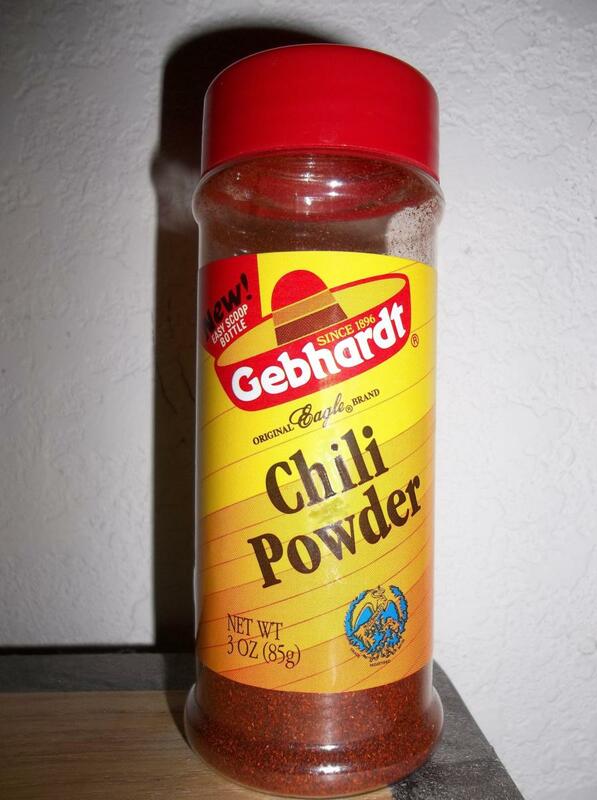 The name came from the Gwich'in, an Alaskan Native tribe that live above the Arctic Circle. 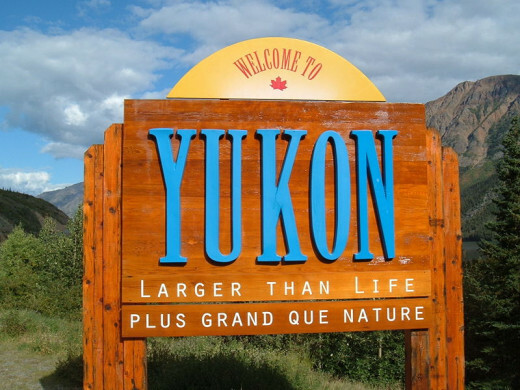 The word Yukon means wide, or long, river. And at 1,980 miles, it is long indeed. It was the major source of transportation during the Gold Rush era. The Yukon Gold Rush is often referred to as the Klondike Gold Rush. 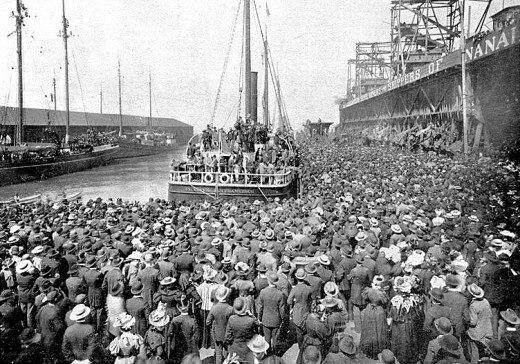 San Francisco, California saw the beginning of the great Klondike Gold Rush on July 15, 1897. 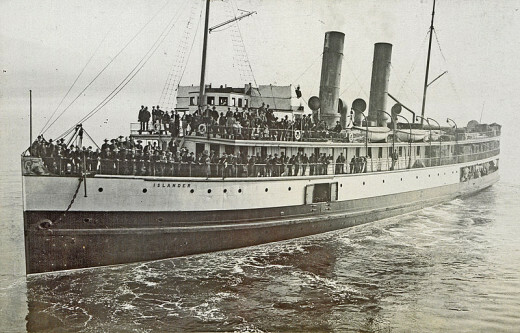 When the ships Excelsior and the Portland docked in Seattle, Washington on July 17 carrying the earliest prospectors and their gold estimated at $1,139,000 (which was equivalent to $1,000 million in 2010), the fever hit hard. This was during the economic panic of the 1890s, so people left their way of life and headed for the Yukon. Little did the would-be prospectors know what was ahead of them. Once they reached the drop off point at towns like Dyea and Skagway, the routes to the Klondike were only for the "men with grit". The journey was extremely difficult due to the unforgiving land and the cold temperatures. Mountains and glaciers lay ahead of the hopeful prospectors, some who had their wives and children with them. Foot routes to the Klondike were nothing but mud and slush from melting ice caused by the traffic. Pack animals became bogged down and most of them were unable to go on, many died. Not only did the prospectors have all their tools and personal items to pack and transport, but, they had to take with them a one year supply of food before entering the Yukon Territory, a rule set down by the Canadian authorities. Whether traveling overland or by water routes, the journey was filled with hazards and catastrophes. Boom towns sprang up rapidly. 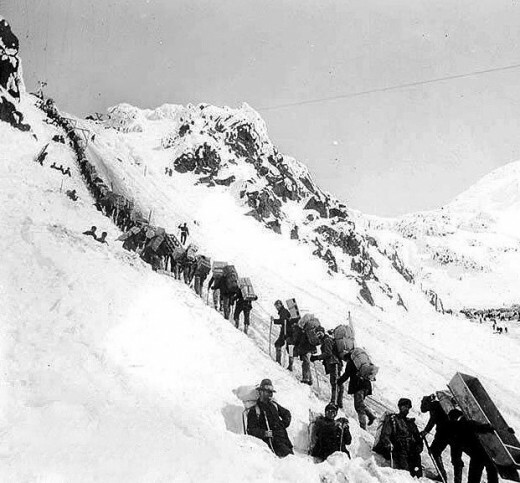 Some routes to the Klondike were closed due to the weather, making it impossible to travel. 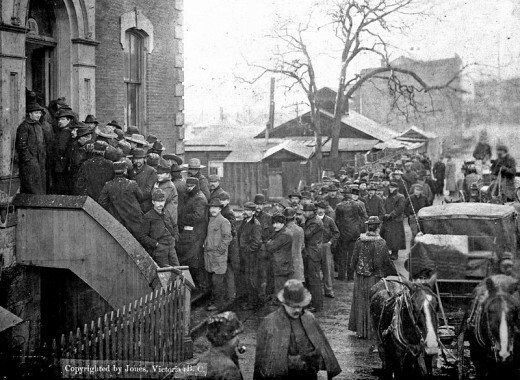 Many people were stranded in towns, unable to go forward or return to their homes. Skagway became the largest of these towns and was overrun by the lawless. Scams, gun fighting and prostitution was rampant. When winter hit and food became scarce, costs rose to unheard of prices. Scurvy became a critical issue, along with dysentery, malaria and an epidemic of typhoid. Even with all this going on, the determined and hardy carried on -- some did strike gold and became filthy rich, spending thousands of dollars a night in the saloons for whiskey, card games and entertainment. When the gold rush had reached its peak and declined, the impact on the land, the rivers and the Native peoples was devastating. The rivers had become contaminated. Salmon fishing and hunting that the Natives originally had in abundance was nearly gone. The environmental damage largely destroyed what the Natives had known for generations. Their population had declined drastically from polluted water and smallpox. Some of the prospectors who did strike it rich returned home, wasted away their new found wealth and eventually died in poverty. The lore of the Yukon goes way back, prior to the European contact, back to the First Peoples of Canada and the Alaskan Natives. Towards the end of the nineteenth century, gold seekers got caught up in rumors of gold to be had by anyone tough enough to withstand the weather and lonely land. It was not for the weak or wary that this land was waiting for. Tales of treachery, death and ghostly hauntings linger on the mists that drift down from the high snow-capped mountains and lurk throughout the valleys. This was a wild and untamed land during the Klondike Gold days. There was a lot more than extreme weather to make a man's blood run cold. 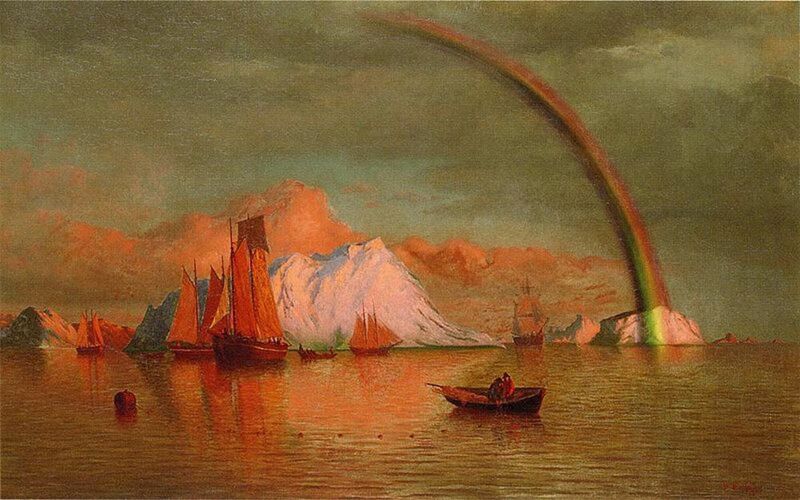 With the long, bitter cold winter nights and the extra long sunny days of a very short summer, the lonely prospector's mind back in the early days of the gold rush could imagine some pretty queer sights and spend some terrifying times in wild and abandoned dreams. That would make your blood run cold;"
There is one tale about a prospector, who while wandering through the Yukon with his dogs became mired down in the muskeg, which is boggy land with water underneath the surface of the semi-frozen ground just above the permafrost. It was a treacherous place and the more he and his dogs struggled the more lost they became. After finally finding a firm spot on a small hill he cooked up some soup for him and his dogs. After eating he fell into a restless and fitful sleep. He dreamed of a fierce native warrior standing over him with a spear and a threatening look. The warrior told the prospector he had invaded sacred grounds and must leave at once or be killed. The prospector told the warrior he was lost and begged for the warrior to show him the way out. The warrior, who was the protector of the sacred grounds, summoned a guide for the frightened man then vanished. When he awoke, the prospector saw the glowing figure of a beautiful native woman at the bottom of the hill and chills ran through him. The woman beckoned and the dogs ran to her. Seeing the dogs happy, the fear faded from the prospector and he packed up his gear then made his way down the dark hill with treacherous muskeg all around it. The woman smiled at him, raised her arms and became a snow white hare. Following the glowing hare, he and his dogs were led east. For several hours they proceeded until the prospector felt solid ground beneath his feet and he knew where he was. The hare once again became the glowing woman who smiled sweetly at him then vanished with the first rays of the sun. Not all tales, however, have a happy ending. This is a land with a history of death and strange happenings. Whiskey-drinking, gun-slinging men full of greed and little consideration for the rights of others flocked to the land of gold to take what they wanted -- these were the claim-jumpers and it mattered not how many they killed to claim the gold. Many an innocent prospector searching for his own fortune lost his life to these dastardly outlaws, to the freezing weather, starvation, scurvy and other misfortunes. Prospectors who were lucky sat around campfires relating tales of treacherous deeds, wary of what was out there in the dark, and warning others. If you lived back during the Gold Rush, would you leave all you know and prospect for gold in the Yukon? Are you kidding? No way ! Sure. I would give it a go, there is enough gold for all. Maybe I would -- or maybe just open a store and sell needed items to make my fortune there. With a heavy run-off of snow-melt and ice breaking in the spring of 1898, the shores of Lake Bennett overflowed into the cemetery and a few thousand coffins were uncovered and floated down the Yukon River. These keepers of the earth-bound dead were scattered throughout the woods along the shores, releasing angry, lonesome and confused spirits into the wilderness. On long winter nights the pine trees whisper the secrets of the departed, restless souls, as lonely prospectors shivered in their tents under the covers, praying for the sun to rise. The unseen and restless spirits seem to linger only in the echoes of the tormented past and the lore of the Yukon. 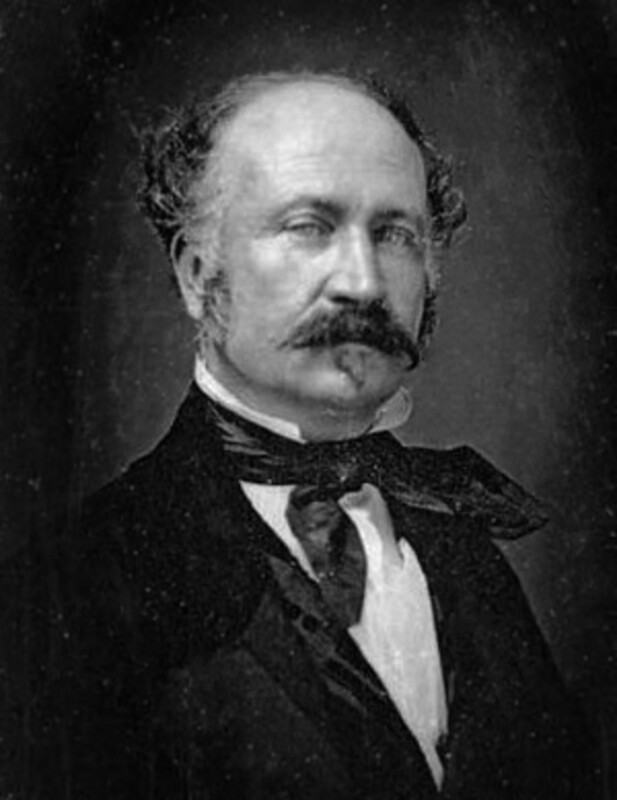 Robert William Service was considered to be "the Bard of the Yukon". When I was a young mother, one of my favorite times was in the evening after the babies were asleep and my husband would read to me from "The Spell of the Yukon and Other Verses," by this great poet and author who put so much passion in his writing. Service had a special gift of passionate writing that pulled me right into the Yukon and the legends as if I knew the characters and the land. I so enjoyed that book. This is how I learned about the Yukon and the legends that abound there. "The Law Of The Yukon" is my favorite poem in the book. Ah! haha - me, too. When you mentioned it I thought I would go there later and see if I can find other episodes. The First Nations people included the Tlingit, which I am familiar with. There are several other tribes, Chipewyan, Tagish, Tutchone, and more that I have not yet studied. Some legends of the Cree, like stories of Wisakejak, or animals were forbidden to tell in summer months. They were saved for winter story time. 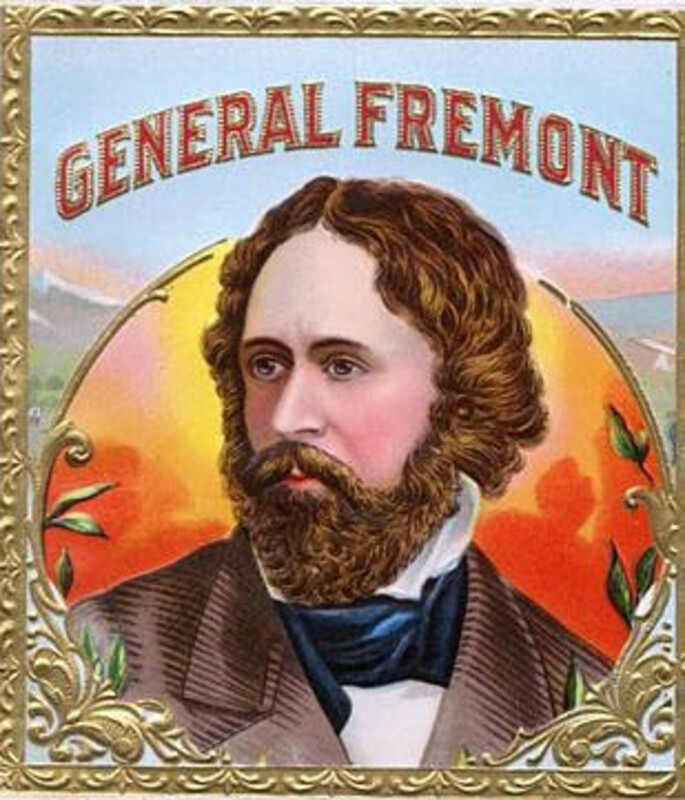 I do remember "Sergeant Preston of the Yukon". We watched him faithfully. I found one episode on YouTube and almost used it here, then chose the other video. Anyone remember TV's "Sergeant Preston of the Yukon"? It aired at the time "North to Alaska" was released. Yes, it was Service himself who was lost and his story about the glowing maiden and the hare rang a bell. They sound like the glowing moon. A Cree legend speaks of the Hare Moon and some can see the shadowy figure of the hare in the moonscape. I don't know if the Cree ever lived in the Yukon as they live just southeast of there today, but I'll check out legends of some groups that did live in the Yukon. Hi Mary - thank you so much for commenting and the votes. I read those books, "Call of the Wild" and "White Fang" in middle school then again several years later. Stories about the Yukon became very popular for quite awhile then kind of faded out. I still love that song by Johnny Horton and I have watched the John Wayne movie so many times, never tire of it. Thanks again, Mary. Hi Patty. My gosh, how wonderful to have known that lady who could remember all of Robert Service. He had a very unique writing style and I really enjoy his works. I am so glad you found this hub and enjoyed reading it. Was it Service who was lost and prayed for help? If so, I am thinking that may be why he wrote that story of the lost miner who saw the glowing lady and the hare who led him back to camp. How interesting. I appreciate your visit and comment, Patty. thank you. Gold mining and the Yukon, I wonder how many movies and books were produced about it. Who hasn't seen "White Fang" or "Call of the Wild", or read the books? 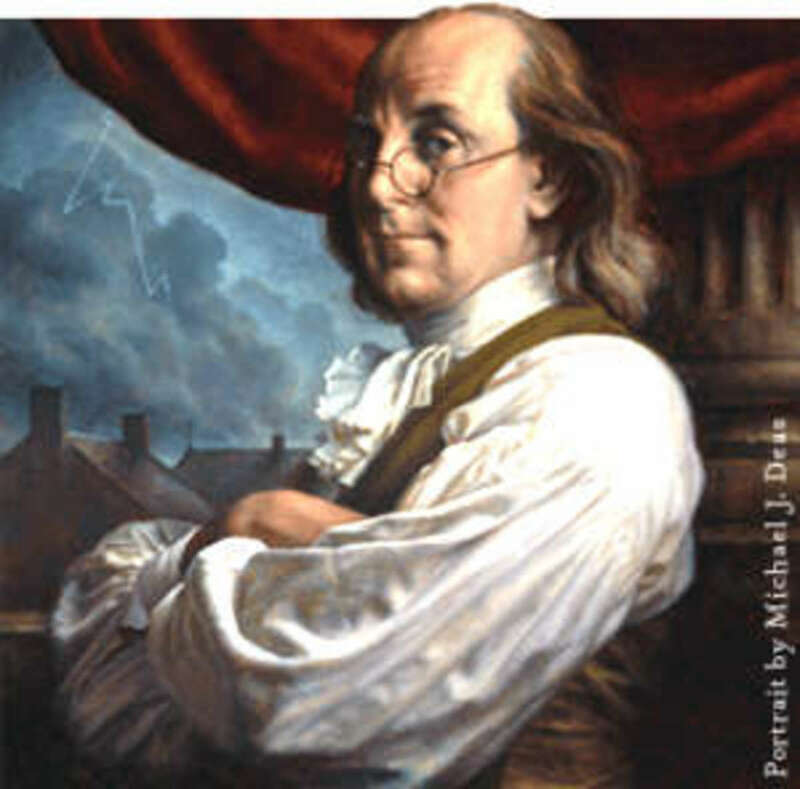 You always make history so interesting and provide us with so many facts we never knew. Good job my friend. I have enjoyed reading this Hub! About 20 years ago, the head of a poetry organization I joined was a lovely lady aged in the late 80s. She had memorized every piece by Robert Service and recited many of his poems during a 3-day convention one year. She also gave us some back story about one poem about and to the moon. The story says that he was lost in the Yukon wilderness night and could see no stars or moon; he prayed for help and the full moon slipped from behind a cloud. He found his way back to his camp. I've been reading the works of Service ever since and am glad to see your Hub. Ahhh ! Jodah - I have never met anyone who knew about Robert W. Service. I love his poetry. I am so happy you enjoyed this hub. I also have a fascination with the Yukon since I saw that movie. Thank you so very much for reading and commenting, and for the vote. I so appreciate it. I absolutely loved this hub Phyllis. The Yukon has always had special intrigue for me after seeing the movie "North to Alaska" many years ago. I also loved the music from it by Johnny Horton and the song by the same name. You provided so much interesting info and facts and I was captivated throughout. I also love the poetry of Robert W Service. Voted up. Hi Examiner-1. Thank you for the great compliment. Johnny Horton was such a good singer. I really felt so sad when he died. The movie is one of my favorites with John Wayne. It is a delightful mixture of comedy, drama, villainy, and romance. The legends of the Yukon are really mysterious and some quite spooky. Thanks for the visit and comment, I appreciate it very much. I can see that you really did research on this and wrote it wonderfully. I would not have done it for anything - except maybe promise of immunity. LOL The videos were great. I do not remember whether I have seen "North to Alaska" but I liked Johnny Horton. Hi Joanveronica -- I have not heard from you in a long time. I hope all is well. Thank you so much for reading and commenting. Take care and hugs. Suhail, thank you so much for the visit. And thank dahogland for sending you over. The Yukon Quest would be an awesome experience to witness. Hope you get that accomplished. You must write about it, I would love to read and learn more about that grueling race. Those huskies, wow! aren't they fantastic. Thanks again. Hi Sheila. I always love your visits and comments. You keep me motivated to write on history. I am so glad you liked the hub and learned some new things. I forgot to put in the article that when the gold seekers got caught up in the big rush, the mayor and 8 cops left their jobs in Seattle (I think it was Seattle) and took off for the Yukon. I found that quite funny. Thanks for reading and commenting. I would like to be in Yukon one winter very soon to just witness one event - its Yukon Quest haha. And if I lived back during the Gold Rush, I would have considered visiting it once to see the ancestors of our huskies of today working their necks off. Informative hub that I was able to visit through the courtesy of fellow hubber dahogland. What an excellent story you've written here. One of the last wilderness' in N America - land of beauty, bigfoot, parks - and splendor undiminished. You know Phyllis, this one really hits home because BC is one place I'd really like to visit. The tallest mountains 'round here top out before 7,000 feet so a trip to even just see Mount Logan and its park would be worth it. That Yukon pass reminds of a Jack London real life story, too. Bet you did have fun with this one my friend, I certainly did! You always pull me in and keep me interested with your historical hubs. I heard a brief lecture about the gold rush when I visited Alaska on a cruise, but you've added things which they didn't include so now I've learned even more. Thank you. I didn't get the chance to get over there on one of the excursions, but I'd love to visit the area and get a feel for the history. Hi Susan. Thanks and see you later. Have a great day. I just saw this in the feed and had to stop by so that I could bookmark it to read a little later. A little busy right now but will be back to read this. Hi dahoglund - thank you for the visit and votes. I am glad you found this interesting. 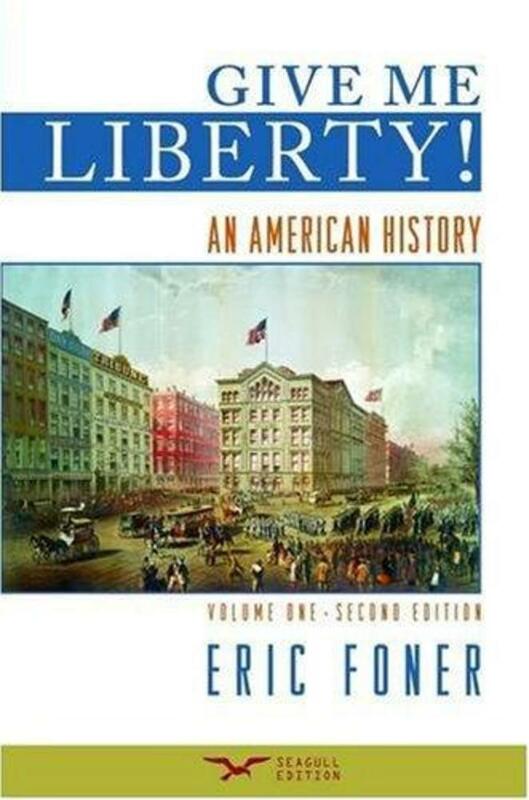 It was hard for me to finish it because I was so caught up in the history of the Gold Rush. It would take several hubs to really do proper justice to the whole story. I appreciate your visit very much. Very interesting history of the Yukon. as I recall there were some TV series about Alaska when they got statehood. I thought they were good but they didn't last long. Up votes and sharing. Hi Jackie. Thank you so much for the wonderful comment, I really appreciate your visit and votes.